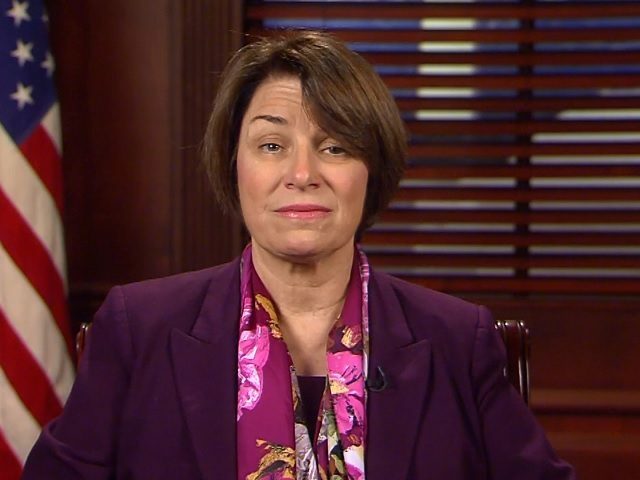 Three people are claiming that Sen. Amy Klobuchar (D-MN) is an abusive boss, allegations that are surfacing just days ahead of the lawmaker’s expected announcement on Sunday that she is throwing her hat into the presidential ring. Klobuchar’s critics said she often criticized their work in emails, sometimes in group emails to publicly shame them. Senator Klobuchar loves her staff ― they are the reason she has gotten to where she is today. She has many staff who have been with her for years ― including her Chief of Staff and her State Director, who have worked for her for 5 and 7 years respectively ― and many who have gone on to do amazing things, from working in the Obama Administration (over 20 of them) to running for office to even serving as the Agriculture Commissioner for Minnesota. She is proud of them and the work they have done for Minnesota. Currently, she is third on the list, behind Sens. Chris Van Hollen (D-MD) and John Kennedy (R-LA). The Huffington Post also implied in its story that Klobuchar could be violating Senate ethics rules by asking staff to do personal favors such as cleaning or shopping.